After a dictatorial decree, all comic speech has been banned and comedians branded in an attempt to secure power. In a ramshackle theatre, a group of intrepid performers stage a new rebellion: using their physicality, subtitles, projections, sound effects, overdub, recorded lines, audio description and the audience themselves to create laughter. 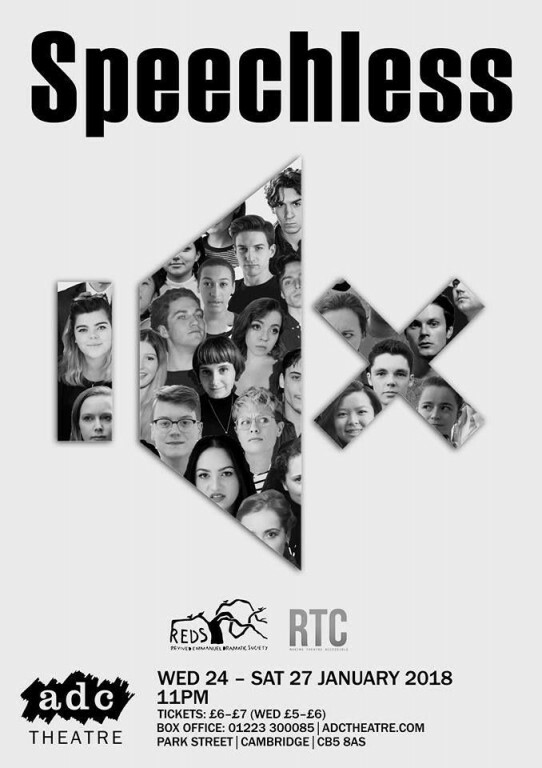 Speechless is a devised comedy sketch show about the importance of communication, the dangers of censorship and the universal appeal of comedy. It focuses on multimedia and is the first Cambridge comedy show to be BSL interpreted. In association with the Relaxed Theatre Company.